When I was creating my scrap wood scarecrow snowman, I knew it would be easy to assemble and paint. I was a little intimidated about painting the faces on them. I decided to add the vinyl faces for craft projects to the scrapwood scarecrow snowman with vinyl. I have a variety of snowman and scarecrow faces in my Etsy shop. You can order the vinyl faces for craft projects from allimake.etsy.com. 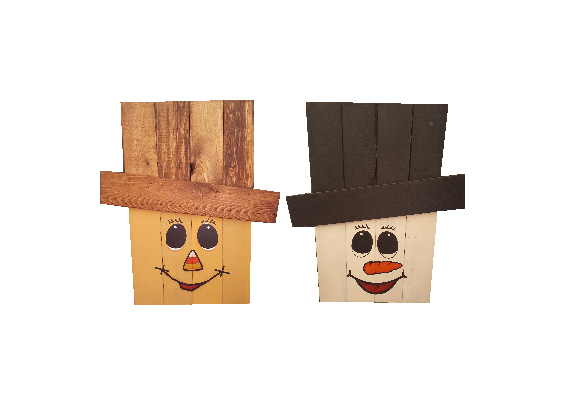 Use them for scrap wood scarecrow and snowman and much more. Every year I try to make something special for the girls on my daughters softball team. As they get older, it is harder to come up with more mature goodies for them. 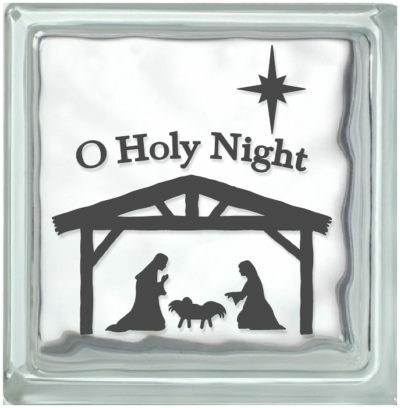 The girls still cannot resist these softball ornaments. This year I bought heart shaped glass Christmas bulbs, however most years I use the jumbo Christmas bulbs. I fill with green paint and add red vinyl softball stitching to the outside. 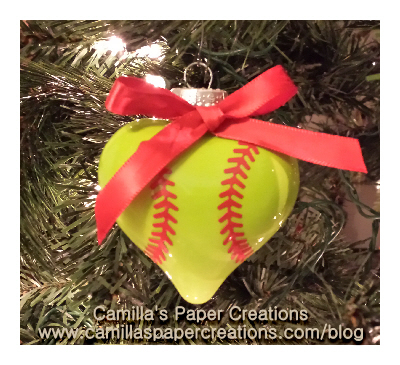 I have included instructions below to make your own softball ornaments for your team. I think this could also be a great softball team bonding activity for about 12 years old and up.